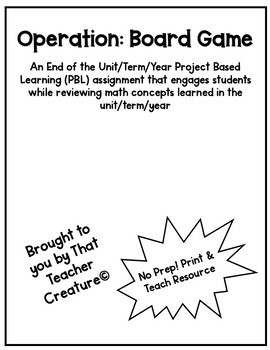 Want to have your students review any topic in math in a creative way? 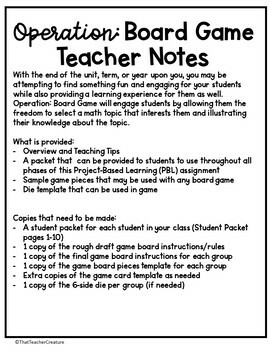 This product gives students the opportunity to showcase what they know about any math topic in an engaging way. The best part? 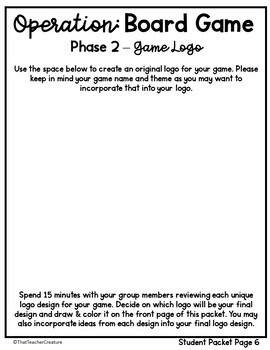 The learning is not done when the project has been completed, students can exchange their game boards with other students in class and play their created games. 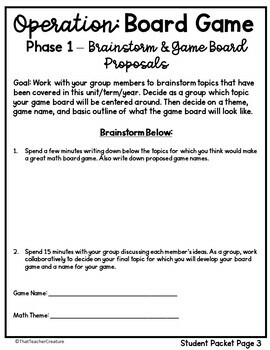 Games can be created for a specific math skill or give students the freedom to select a topic that was covered during specific unit, term or school year. This product is listed in jpeg format.